In NRIC’s Auditory-Oral Foundations program, hearing impaired students learn skills and develop expertise to better communicate, using technology like hearing aids and cochlear implants. Working closely with NRIC specialists, hearing impaired students also learn to recognize kinesthetic and contextual social clues to better understand and use spoken language. Specialist instructors work with students and parents to develop and reinforce social and language skills needed for successful participation in normative scholastic and social settings. Students in Auditory-Oral Foundations attend daily classes with other hearing-impaired students, under the tutelage of an NRIC oral teacher of the deaf. Students also attend daily auditory training sessions with an auditory-oral speech language pathologist. 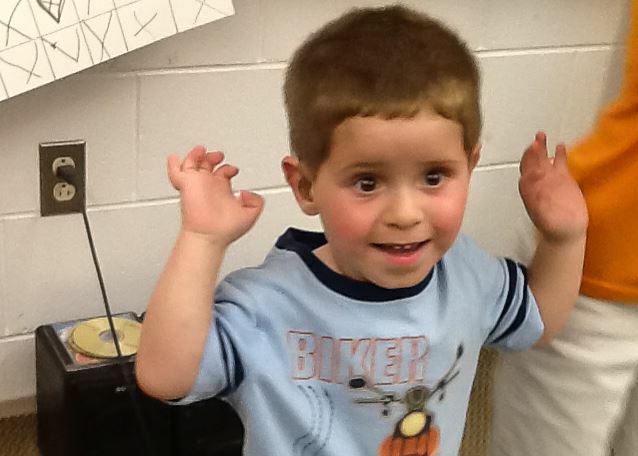 The Auditory-Oral Foundations program has inclusive early childhood and elementary classrooms at Edgewood Highlands Elementary School in Cranston. Students in the early childhood program work and socialize with hearing peer models that provide constant feedback about everyday life in a normative social or scholastic community. Elementary students experience the same socialization and normative education opportunities at Edgewood Highlands, where classrooms are engineered and constructed to optimize acoustics for conveying the human voice. For additional information on NRIC's Auditory-Oral Program, please contact Donna Rizzo at (401) 270-8065. Auditory-Oral Foundations aids students, back in their home district, via classroom consultation, direct service, and professional training for local staff working with hearing impaired students. Outreach services now support families seeking an auditory-oral course of intervention for children from birth to three years of age. Parents collaborate with early intervention specialists to help the youngest of hearing impaired toddlers learn and improve skills for daily living.